Moving from big, to little. With fuel prices edging upwards at the pumps and labour rates for repairs nudging £100 in some areas, small is now beautiful in the eyes of many car buyers. This, writes Ray Castle of motors.co.uk, means there’s plenty of interest in pint-sized cars and good second-hand ones sell quickly. But the sheer numbers for sale at any time means that prices for everyday models remain sensible at least for now. And the comfort, refinement and equipment levels that small cars bring is now so much better than it was even a few short years ago, meaning that you really can depend on them as your only vehicle – for long trips and short. Taking a budget of just £3000 and scouring the ads on motors.co.uk, we were surprised at just what good cars could be had. Here’s our pick of the best. The Fiesta is the best small car of all to drive: nippy, sharp in its responses but capable of serviing up a smooth, comfy ride. This mid-level model has a 1.4 petrol engine that trades off strongly between power and economy – 40mpg is likely across a mix of driving. It is pretty well equipped, too. This one has twin front airbags, electric front windows, remote locking, alloy wheels and air conditioning... but no anti-lock brakes. Insuring it will be cheap, while servicing and repair costs should keep below average, too. Polos have more class than any other small car except for the Mini. That’s why your money buys something that’s a year or two older than the others here. No matter: Polos last superbly well and you can’t help noticing how many pristine 10- or even 12-year-olds you’ll see trundling about. This E model is entry-spec but it is still generously kitted out: front and side airbags, anti-lock brakes, central locking and electric front windows are all included. The 1.2, three-cylinder petrol engine is lively and will manage an easy 45mpg overall and while the Polo dsn’t feel as alert as the Ford, it ds a wonderful ‘grown up’ feel on the road – as good as that of many larger cars. Running costs are low, while spares and maintenance are reasonable, if not as cheap as the Ford’s. 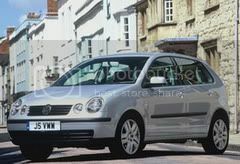 This car has the same engine, gearbox and running gear as the Polo. And, like Volkswagen, Skoda has a deserved reputation for toughness. And that’s why, even though Skoda is a ‘budget’ make, your cash will stretch to buy only a slightly newer car than our Polo. 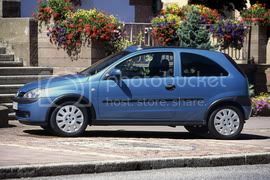 Like the VW, this Fabia is an entry model. But it is still strong on safety equipment – anti-lock brakes and four airbags come as standard. Like the Polo, the Fabia’s smooth ride and low levels of cabin noise made it feel like a much bigger car and its cabin, though plain, is toughly made. Corsas at this price are snapped up by young drivers as first buys – because, until lately, they were the learner car of choice for the UK’s biggest driving school. And they are popular all round because they are economical and relatively cheap to insure and maintain. The car isn’t as roomy as the Polo or Fabia, particularly for those sat in the back, while the boot isn’t as big, either. But it rides securely enough and that 1.2 engine has fair pep and will regular deliver 40mpg. Pick one like our mid-level Design model and anti-lock brakes, twin airbags, central locking and electric front windows are fitted as standard. This isn’t the biggest of small cars. Headroom in the back is tight, even though the rear seat slides to and fro to juggle space between the cabin and boot, as you need. 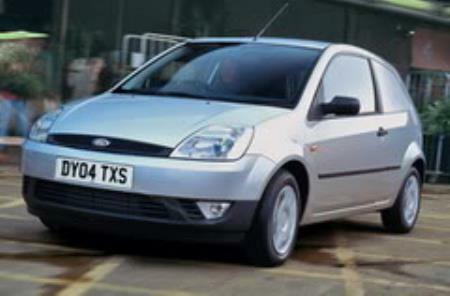 The 1.2 petrol engine is strong and willing and the car’s neat size makes it really easy to drive. Inside it’s all well made, while heater and stereo controls that resemble a vintage radio’s add a little much-needed chic. Its ride and steering aren’t as good as a Fiesta’s or a Polo’s, though. This SX model is well equipped, boasting alloy wheels, four airbags, anti-lock brakes, electric windows and remote central locking as standard. 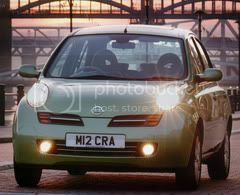 And, best of all, the Micra has a reputation as one of the most dependable small cars you can own. Looking for a car that’ll protect you well in a crash? At this sort of money, the Clio’s reputation is second to one, especially if you go for a mid-level Dynamique model such as this, which packs four airbags and anti-lock brakes as standard. In fact this Clio is well equipped all round because alloy wheels, air conditioning, remote locking and electric windows come as part of the deal. 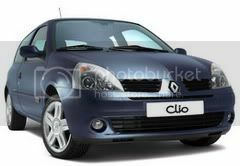 You’ll also get a newer car than the others here because Clios lose value quickly from new. The downside here is that, while they are relatively cheap to fix, they tend not to be as tough or long lasting as the others we’ve listed. Email sent, thank you for your request.